Taiwan is calling out global brands that have bowed to Chinese pressure to treat it as just another part of China. Taiwan's Foreign Ministry on Wednesday berated Air Canada (ACDVF) and Gap (GPS) on Twitter, accusing the airline of buckling under pressure and the clothing retailer of sending the wrong message to the world. 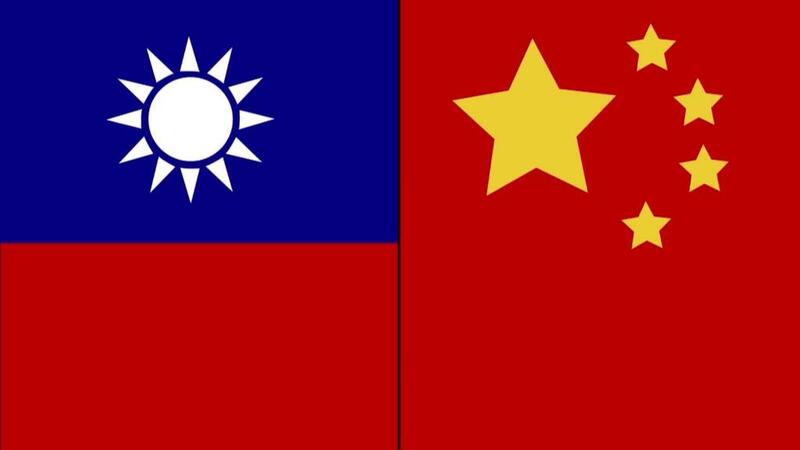 The public scoldings follow recent efforts by the Chinese government to get international companies to adopt its stance on Taiwan on their websites and apps. China considers self-governed Taiwan to be an integral part of its territory, and comes down hard on any suggestions to the contrary. But Taiwan's government, which is currently controlled by a pro-independence party, doesn't recognize Beijing's claims. It's upset with Air Canada for appearing to describe Taiwan as part of China on its global website. Air Canada's site now lists destinations in Taiwan under the designation "CN," which is shorthand for China. The change appeared to have been made in the past few days, based on archived versions of the carrier's website. It previously referred to the destinations as being in "TW," short for Taiwan. A spokesman for the ministry told Taiwan's main news agency, CNA, on Tuesday that it had asked Canada's biggest airline to rectify the issue. Air Canada did not respond to requests for comment outside of regular office hours. Canadian broadcaster CBC reported that a spokeswoman for the airline said its "policy is to comply with all requirements in all worldwide jurisdictions to which we fly." The Chinese government recently wrote to more than 30 international airlines, including some US carriers, demanding that they change their websites to remove any information that could suggest that Taiwan, Hong Kong or Macau are not part of China. The Air Canada spokeswoman didn't say whether the company had received a specific request from China, according to CBC. The White House has slammed China's demands as "Orwellian nonsense," calling them "part of a growing trend by the Chinese Communist Party to impose its political views on American citizens and private companies." In January, Delta (DAL) was publicly scolded by China's aviation administrator for listing Taiwan and Tibet as countries on its Chinese website. The company quickly apologized and fixed the issue, drawing criticism from Taiwan. Other big brands including Marriott (MAR) and Zara have apologized for similar missteps. Taiwan's government is unhappy with Gap for its response to an outcry in China over one of its T-shirts. Chinese social media users complained that the map of China on the T-shirt left out Taiwan and islands claimed by Beijing in the South China Sea. Gap on Monday apologized for failing "to reflect the correct map of China" and said it would withdraw the T-shirt from the Chinese market. "Disappointing to see @Gap engaged in self-criticism," Taiwan's Foreign Ministry tweeted Wednesday. "Such acts send the wrong message to the world."